To insert the Expert Letter, we will use the same technique of nesting a <div> tag as we did for the Scholarship Essay/College Visitation Reflection on the Education Research page. If you already inserted this essay as outlined under the instructions for Inserting Second Years Required Content for the Education Research Page, then this exercise will go fairly quickly as we will use the same ID #essayContainer we created earlier. If you did NOT complete this step, then you will need to skip down to the second set of instructions below "Creating and Styling a Nested <div> Tag". As stated above, if you've already created the ID #essayContainer, then follow the instructions below. If you have NOT created the ID #essayContainer, then procede to the next section. 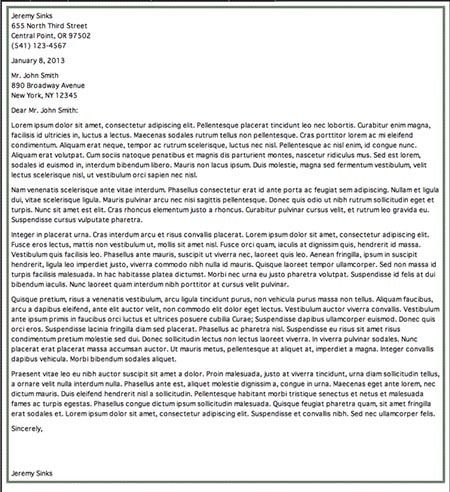 Make sure you open your Expert Letter in MS Word. After you complete the above, skip the next section and begin at "Inserting the Expert Letter"
If you didn't create the essayContainer ID previously, then continue with the below step. Double-check your document to make sure it pasted correctly – you may need to go through it and add or subtract spaces for readability. In the next exercise, you will insert the Career Exploration Dream Job research.